Nassim Sana is the owner and sole practitioner of Beauty in Truth Life Coaching, LLC. She is a Certified Life Coach and has her Masters in Counseling, Bachelors in Psychology, and Minor in Religious studies. 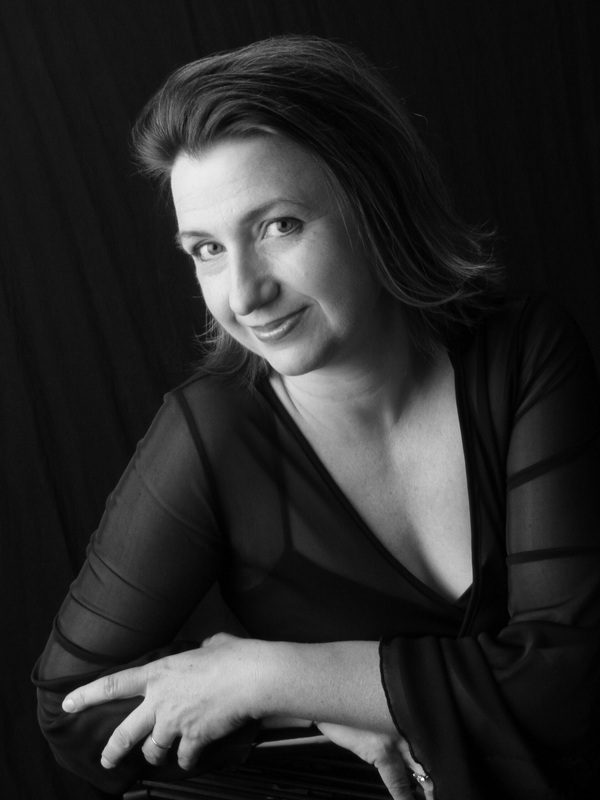 Her specialties include empowerment, positive self-image, and living in the now. She has helped countless people to discover and embrace their strengths through attending her positive thinking group for the past seven years. She loves speaking and teaching at conferences about living in the now. She has also has provided company-wide training on cultural competency issues to provide more awareness towards the Middle Eastern Culture. For the past 16 years, she has made it her life’s purpose to empower women to create new possibilities for themselves. She believes that the more women embrace their strengths and feel empowered, the more they will use their power to create an amazing tomorrow for the future generations. Topic: Choosing a Different Path; What Does Body Acceptance Look Like? Kristy Stabler is a wife, mom of 3 daughters, a national level figure competitor, a nutritionist and a personal trainer. But underneath all those titles, she’s a woman who has dealt with her own body image issues, self-doubt and diet obsession. As the owner and sole practitioner of her company, The 80 Percent, Kristy works daily with women from varied backgrounds to better their health in all aspects: body, mind, and spirit. Seeing a lack of true substance to most of the fitness programs out there, Kristy partnered with Nassim Sana in 2013 to host workshops to address the mental/emotional/spiritual aspects of good health that every woman deals with on a daily basis, but tends to ignore in the pursuit of a size zero. Kristy has a Business Degree from California State University Sacramento and she is ISSA certified in nutrition and personal training. Jennifer Denkers, LPC. Originally from Utah she has lived in Phoenix for 15 years. She has been married for 5 years and has a 14-year-old daughter. She is a Licensed Professional Counselor working at a non-profit agency in Phoenix for the last 3 years. She works with adults with severe mental illness and general mental health concerns doing individual and group psychotherapy. What drives her in her career is being able to connect with people and sharing powerful experiences with them as they work toward building more enriching lives. 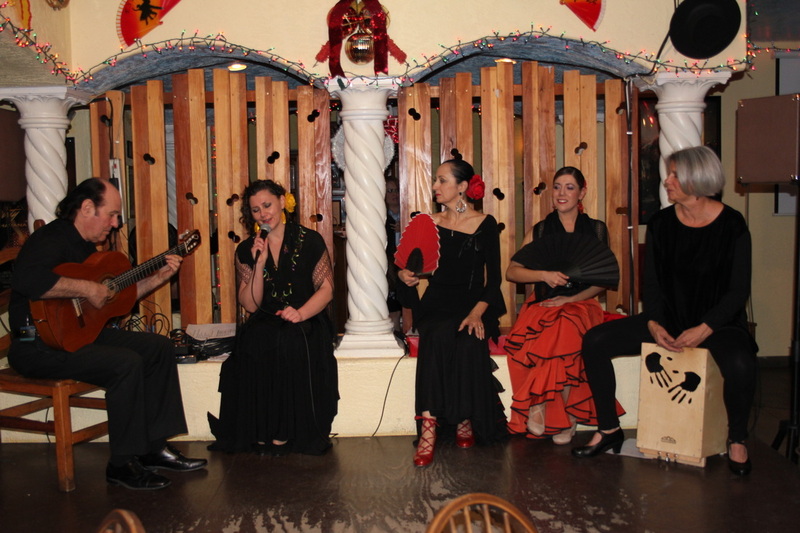 Linda Machado is a professional Flamenco dancer and instructor with over 20 years’ experience in her art. She owns and operates Flamenco!...the Studio, the only all-Flamenco arts learning center in the Valley of the Sun, and she is the only Flamenco artist in the state of AZ recognized by the AZ Commission on the Arts to teach Flamenco in both Educational and Community settings. Linda holds 2nd place for the title of Ms. Sr. Arizona 2013 and is the winner of the Ms. Sr. Arizona 2013 Philosophy of Life Competition. Linda believes that challenges are what drive her to see and seize opportunities for extraordinary growth in her career and personal life. One of her great passions is to motivate and assist women of all ages to embrace the challenge of becoming self-empowered and then living that life. Donnalee Sarda is a state licensed counselor and the founding executive director of Defenders of Children, a nonprofit child advocacy agency helping abused children and their families when traditional systems of protection have closed cases but evidence shows the children are still in an abusive home. Mrs. Sarda has worked in abuse prevention, intervention and recovery for fifteen years-- and volunteered another 8 at a domestic shelter then called Faith House. With an early work background in finance and management and founding her own public relations business, her career change into social services led to her Master’s Degree in Counseling Psychology from ASU in 1996. She has since served as Supervisor with the Childhelp National Hotline, a Board member and then executive director of Justice For Children-AZ working to give forgotten children a voice, and now Defenders of Children for the past 5 years. A goal of hers is to eliminate the intergenerational cycle of abuse in the thousands of situations she touches. Tammy Stanley’s degree is in German Studies; she started her Master’s Degree but got sidetracked having children – 4 of them. Currently she is the director of The Tammy Stanley Sales Refinery, a sales training firm that combines irresistible insights, authenticity, and humor to transform the bottom line in corporate and individual sales. Known for her self-revealing style and her captivating story telling, she analyzes and presents the often over looked fundamental aspects of the selling process. Register for this amazing event now! 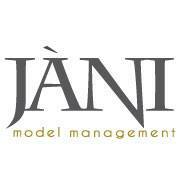 Registration deadline 10-12-13, Please register before deadline. 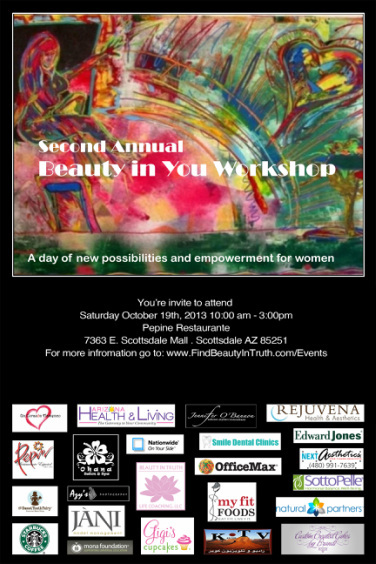 Event Hosted by: Beauty in Truth Life Coaching LLC. Join us for an amazing and inspiring day. Its time to celebrate "YOU". In today’s society we see more and more women are identifying themselves through the roles they play (as mothers, wives, daughters, sisters, colleagues, etc.) and they do not see themselves as women full of strengths, virtues, and beauties. They continue to take on many responsibilities and often believe that practicing self-care means they are being selfish. In general, as women we do not know where to turn to gain more awareness, tools, and resources to continue to empowering ourselves. 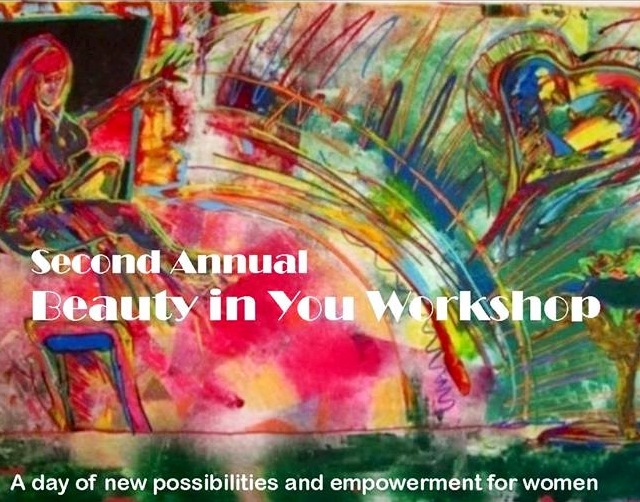 This one-day workshop will give women a holistic look at how they can be empowered inside and out. 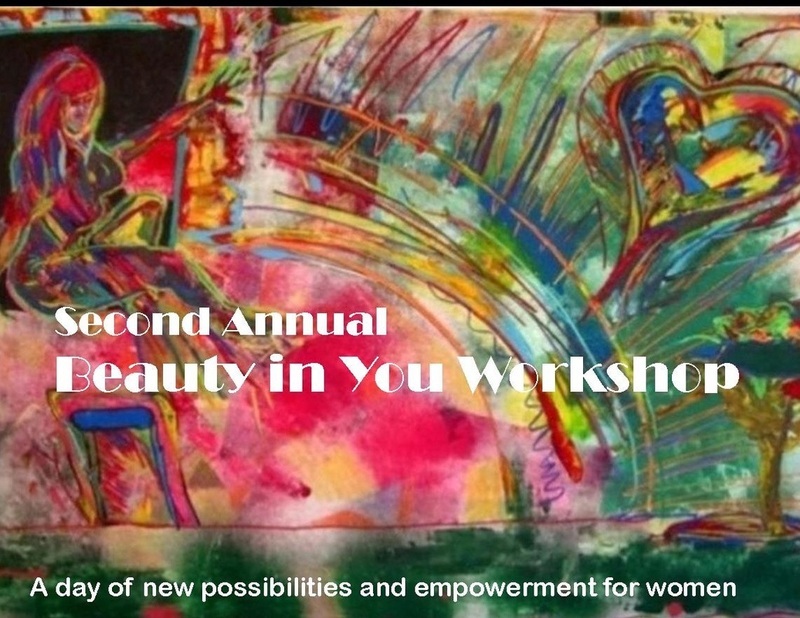 The possibilities are unlimited by bringing together experienced speakers from diverse backgrounds who will guide the attendees in creating an action plan so they may leave the workshop empowered, ready to take action with a greater appreciation for their own unique beauty. The formulation of my one-day workshop event is designed to help educate and ultimately to more empower women inside and out. A variety of accomplished speakers from a wide range of fields will present a rich, cultured approach ranging from mind, body and spirit to relationships with significant others and children. 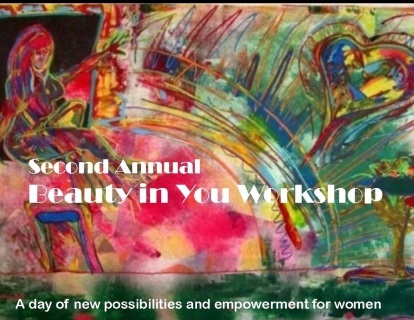 Attendees will be guided into creating a plan of action with a greater appreciation for their own unique strengths and beauties. The day will include fun activities, entertainment, resources, silent auction, door prizes, goody bags from the hottest stores in the valley, recognition's. The Tahirih Award (Outstanding woman in the Community) will be presented to MonaLou Callery Char/Founder at National Advocacy & Training Network/SEEDs. Also profit proceeds will benefit the Mona Foundation. Sponsors include Pepin Restaurant, Arizona it Health and Living Magazine, Kavir TV, Nationwide Insurance, Natural Partners Pam's Floral, Scottsdale Independent, My Fit Foods, Starbucks, Edward Jones, and more. Harpal is a teacher/trainer of Kundalini Yoga. My primary focus is creating workshops for women, incorporating the strength and focus of yoga with the expansion and freedom of movement and dance. It is my goal to inspire others to become teachers and lead autonomous, empowered happy lives through commitment and practice. I have a Bachelor of Science in Psychology and a minor in Family Studies from ASU. I am an internationally certified Kundalini yoga instructor and associate teacher trainer with over 1000 hours of teaching experience and 7 years of advanced study. I think there is no more important relationship for a woman than the one she has with herself. 2nd Annual Beauty in You Workshop Saturday October 19th: Doors Open 9:30 am, Program Begins Promptly at 10:00 am and will end at 3:00 pm.